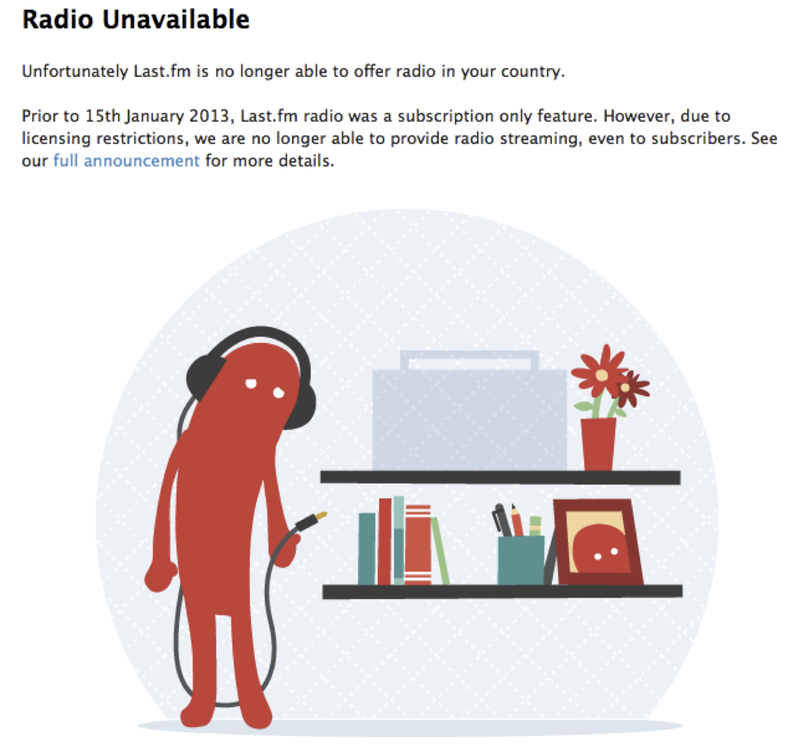 meza - in the brains: Why am I mad about losing @lastfm? Why am I mad about losing @lastfm? On my music blog I have whined about the fact that it feels bloody hard to find quality music. Too many releases happen each day in an expanding variety of genres. To solve this problem, I have been using last.fm for years. I've been scrobbling my listening history to teach their engine about my likes, so that the AI could show me new stuff that I would likely love... and buy. Yes, I am one of those maniacs, who likes to thank the author by purchasing their creations. It was easy through Last.fm. So my question honestly is: how will this stop piracy? Last.fm encouraged me to purchase songs, making it effortless to do so. Now I am reaching out to you, dear readers. that learns my taste without interfering with my choice of music listening device/software. This means that I can still use winamp/android music player/audacious on my devices to tell the service what my listening habits are. Yes, this description fits Last.fm if you were wondering and haven't used it before. Also, the above requirements rule out spotify unless you could show me how to achieve these goals with it. best ever.Great writing and skills. There are no upcoming talks at the moment. But I only write test code, I'm not a programmer! Havig difficulties testing sites with 2 step authentication? Suffer no more! Video Recording & Slides: Psychology of Testing at Wealthfront Engineering - Here is a presentation I have done few weeks ego at Wealthfront Engineering. Enjoy the slides and a recording of presentation! Marton Meszaros. Powered by Blogger.